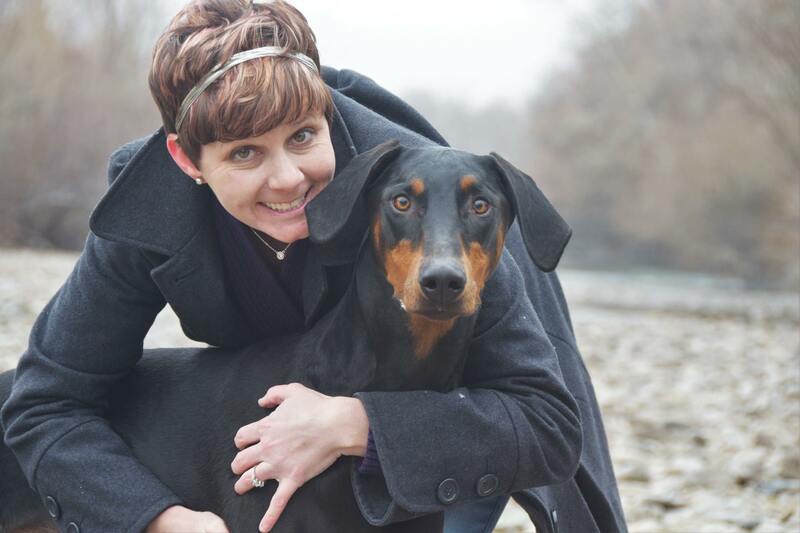 Kurt, a 6-year-old Doberman Pinscher, and Kari Massoth, 33 of Nampa, Idaho, are excited to be heading to Scottsdale for Cynosport®. Although they have never been to a national event, Kari feels ready. They have been competing in USDAA® for two years and have been practicing by running the previous year’s courses. “They are extremely challenging, but fun to run. It will also be super exciting to be in such a large atmosphere and get to see some of the bigger names in agility compete in person,” said Kari who is extremely proud of Kurt for taking any challenge in stride. Kurt came to the Massoth household from a breeder in Buffalo, NY, when he was just 8 weeks old. “My husband is Kurt’s ‘real’ owner and has been a great partner in his training. A Doberman was selected because my husband is a former USMC Sergeant and upon doing research learned that the Marines used Dobermans during WWII. Kurt’s papered name is ‘Kurt Semper Fidelis’ after the WWII Doberman, Kurt, who saved over 250 USMC soldiers July 23, 1944, on Guam,” said Kari. What started as a free agility lesson from a local trainer, blossomed into a competitive outlet for Kari who is a full time email marketing specialist at Bodybuilding.com. “Once I got to a point of feeling good about my handling and my dog’s ability to perform, I decided to try a trial. It took a few trials to get a quality run and that little bit of success is what got me hooked,” she said.